If you’re anything like me, you find the dreamiest pair of mules & then think “How do I style mules?!”. I had been eyeing so many pairs of mules but too nervous to pull the trigger on a pair because I wondered if they’d just sit in my closet unused & destined for my donate box. 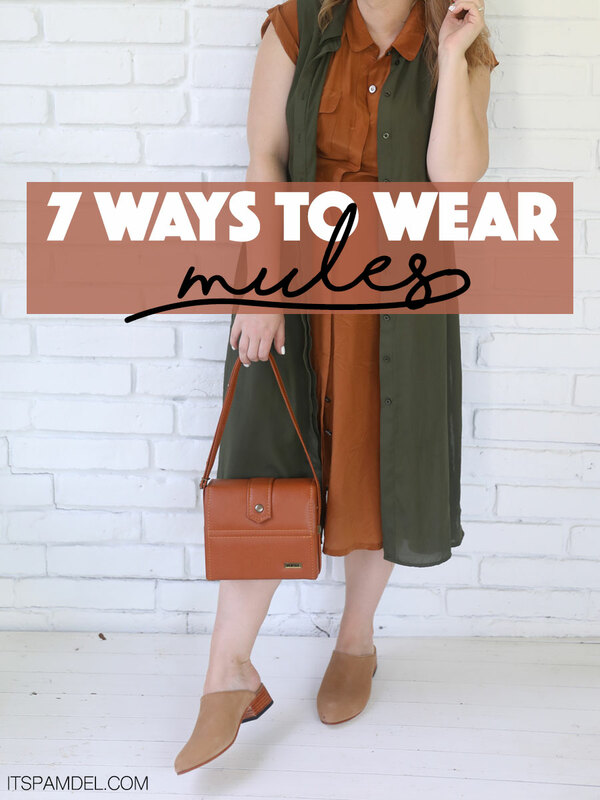 We’ve all had those pieces that we are just soooo unsure on how to style & that’s why I created this blog post, to force myself to figure out how to style mules. And honestly it was just so fun to see how many outfits they work with! I hope this helps you in the styling of your mules. 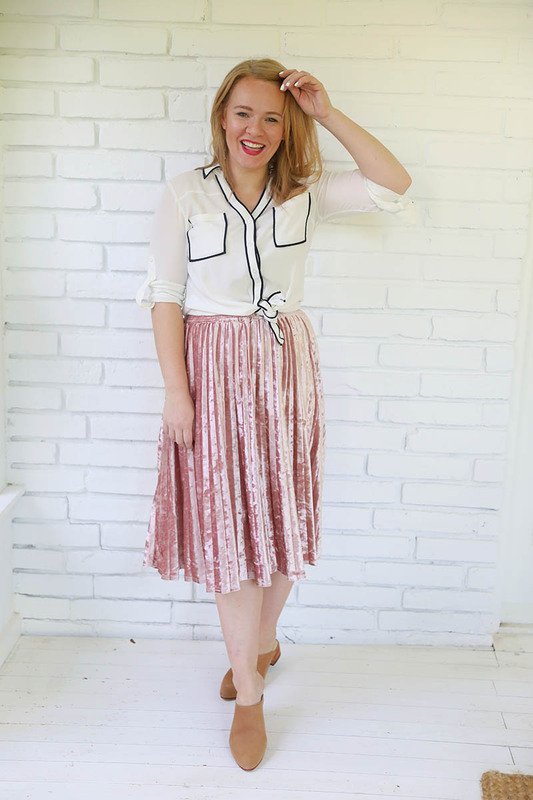 As much as I’m a lover of color, I can get down with a neutral outfit too. I just love these brown mules with black denim jeans, as long as you get the cut of the jeans right (I find if the denim is above my ankles it looks best for me) you pair just about any top for a chic look. I just love the combination of these beautiful suede brown mules paired with buttery leather pants & then topped with a lacey goodness top? Sorry, but C’MON! This is just too good of a combo! The contrast of all the textures really elevates an outfit. 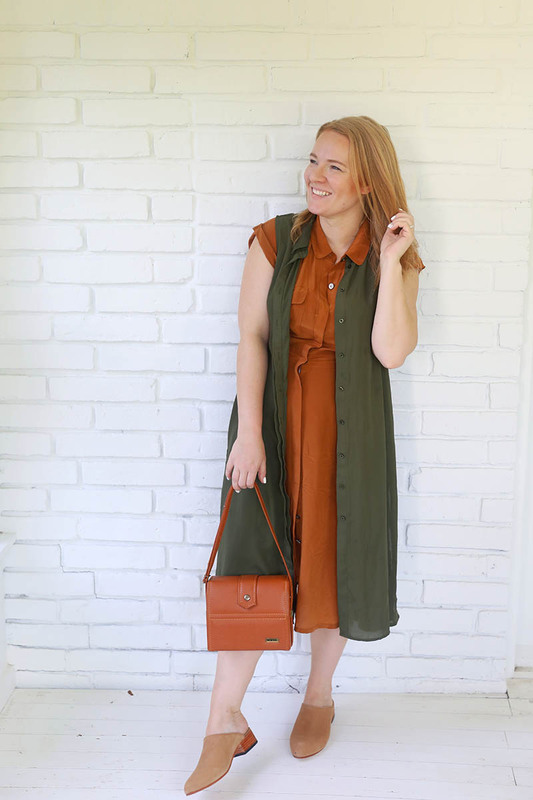 I have been wearing these darling brown suede mules with pretty much every dress I have, they just pair so nicely with for a laid back but styled look. I just didn’t realize how versatile a really good pair of mules could be until I really tried on everything in my closet with them. 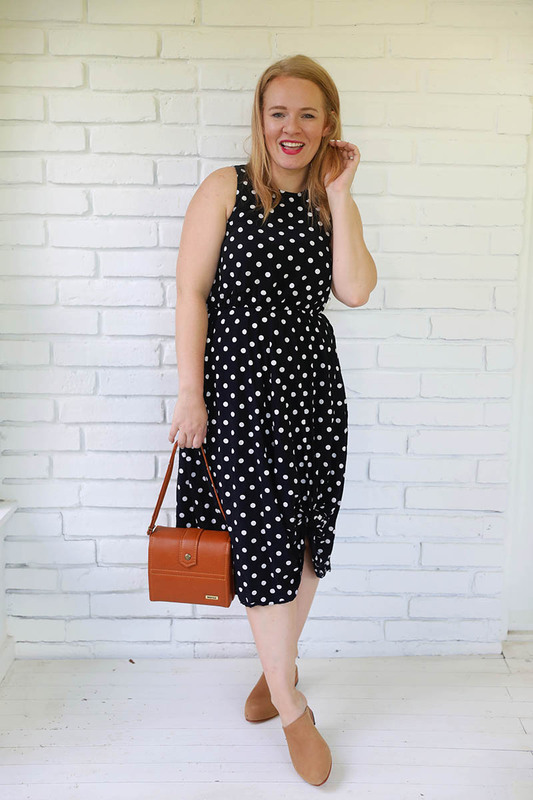 When I was asking myself how to wear flat mules, I just didn’t think they’d work with my skirts…and for some reason when I thought how to wear closed toe mules, I just thought that would be even harder (I’m a size 9.5, I thought they’d make my feet look SOO big LOL).